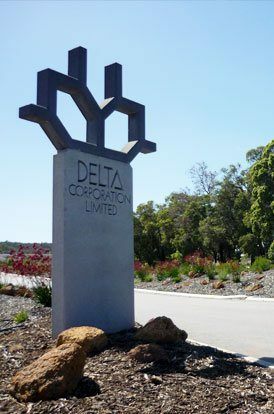 Delta has a highly skilled and innovative management team with over 110 years of precast concrete experience. It also has a well-trained workforce capable of producing extremely high quality precast and prestressed concrete products to clients requirements and expectations. Today, Delta not only have an unmatched capacity to deliver the traditional precast concrete products to architects, engineers and construction companies demand, Delta now also have the very latest technology to enable us to transform whatever imaginative design, style, colour and finishing concept you develop into precision-engineered reality. As you can see, there’s no company better placed to be able to work closely with your team to create precast architectural products, flooring products, structural products and major infrastructure and marine works. Delta is firmly committed to quality, service and safety providing the best possible outcome for our clients. Certified Quality Management System ISO 9001:2015. Occupational Health and Safety Management Systems AS/NZS 4801:2001. Environmental Management Systems ISO 14001:2015. Founding member of the National Precast Concrete Association of Australia NPCAA. DELTA CAN HANDLE ALL YOUR PRECAST NEEDS FROM COMPLEX ENGINEERED PRODUCTS SUCH AS BRIDGE BEAMS AND FLOORING SYSTEMS THROUGH TO SOPHISTICATED HIGHLY ARCHITECTURAL ELEMENTS.